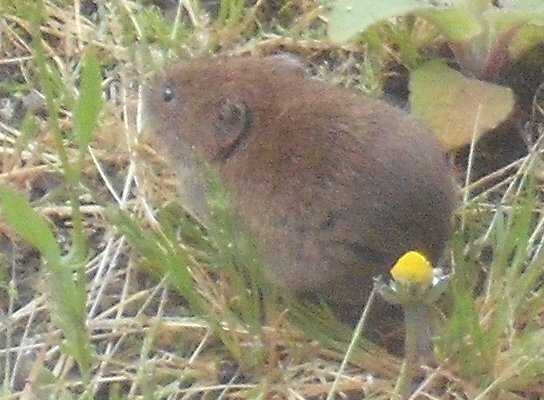 Not the world's greatest photograph but not too bad with a pocket camera at maximum optical zoom obliquely through double glazing. 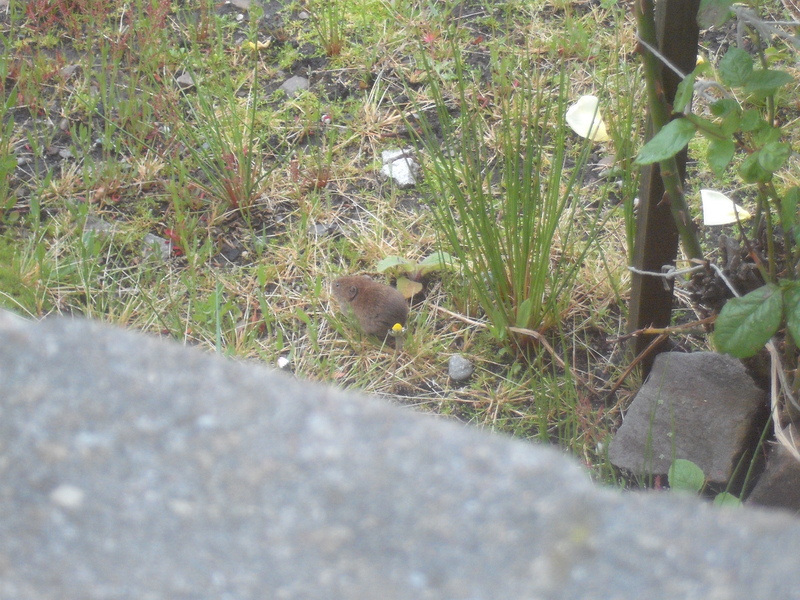 I'm pretty sure it's a bank vole. I think I need a cat.